“Brevity is the soul of wit,” Shakespeare wrote in Hamlet. It’s a great aphorism, but the Bard definitely didn’t take his own advice while drafting that play. At 30,066 words, the Danish tragedy is his longest work. His shortest? Macbeth, which clocks in at around 17,084 words. If these bits of numerical trivia fascinate you, check out the infographic below, published recently by Adweek's GalleyCat blog. Cartridge Discount, an English retailer that sells ink and laser cartridge for printers, compiled the word counts of some of history’s greatest literary works—short and long—and used them to create a brilliantly nerdy chart. 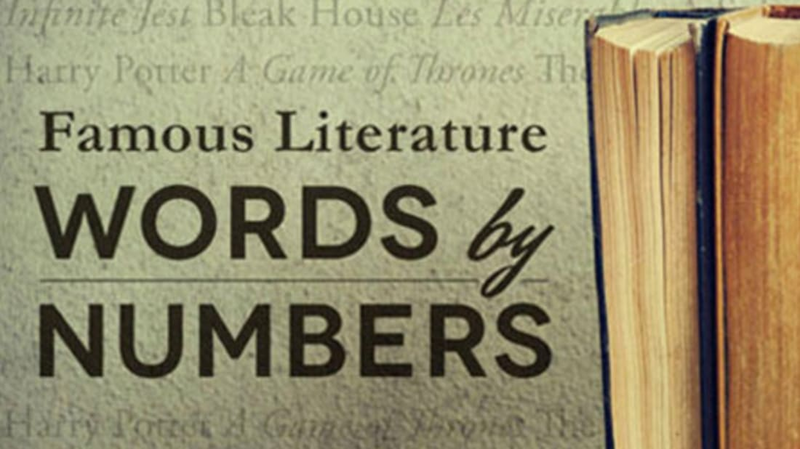 Want to know the figures behind some of your favorite works of fiction? Get busy reading—and for that matter, counting.